Poynton staff and residents intently watch their in-house production, Cheese Scone: The Movie. Dapper suits and elegant dresses were on display at a unique film premiere on Tuesday, starring residents of a North Shore retirement home. 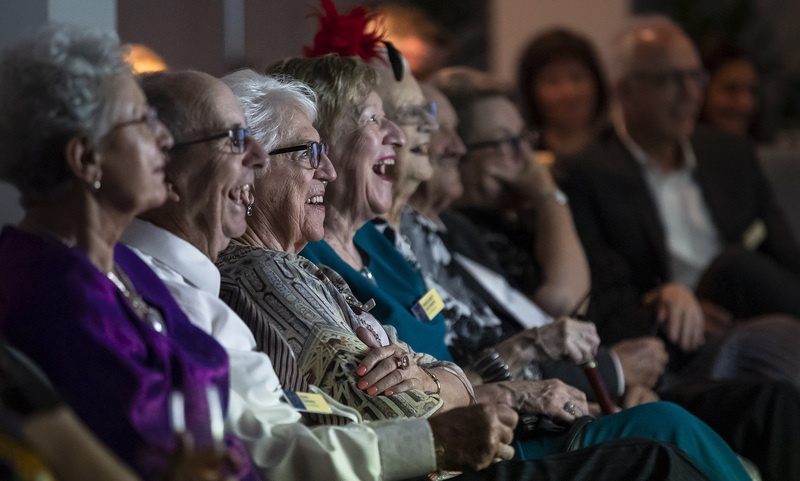 ‘Cheese Scone: The Movie’ is a charming insight into life at The Poynton Retirement Village, and explores how a passion for fun and laughter doesn’t have to wither with age. Residents made their way down the red carpet for an evening of glitz and glamour to celebrate the screening of the 15-minute production. With champagne bottles on every table and The Coast radio’s Lorna Subritzky presenting the show, it was easy to forget this was the inside a local retirement village, and not a Hollywood movie premiere. The film puts a twist on daily life at the retirement village. One skit saw an evening game of lawn bowls interrupted by a resident streaking across the grounds. Graham Upson starred in a leading role in the film as one of the ‘Hot Rods’, a group of gentlemen who race mobility scooters around an empty parking lot. Upson said people would be surprised at the amount of enjoyment to be had at a retirement village. “(There’s a) great deal of fun you can have in a place like this. People seeing it from the outside would probably be amazed,” he said. Kemp, who is also The Poynton’s chef, said when he pitched the idea to make a film starring residents his peers ‘looked at him like he was mad’. Kemp said he had no previous experience directing films but decided he would ‘wing it’. “I’m a chef, I’m used to working under pressure and turning chaos into something great. So I figured making a film would be a walk in the park,” he said. The title of the film comes from Kemp’s experience working as a chef at The Poynton, where freshly baked scones are a favourite of the residents. This element of life at the village is parodied in the film with residents engaging in a climatic race to get to the last cheese scone. 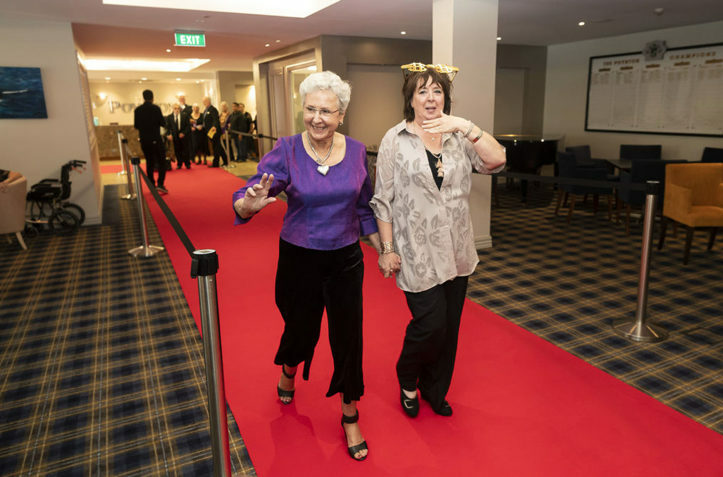 Resident Meryl Morris starred in the film as one of the ‘Golden Girls’, a group of women who compete to attended fitness classes amongst other activities. Morris said the film revealed that life in a retirement home is very different from what people may perceive. “There’s a lot of good people here and it’s a really good place. It’s like living in a five star hotel,” she said. Kemp assembled a film crew by borrowing a camera and assigning it to a fellow staffer. Resident Maggie Dickerson’s son was hired to edit the film for zero charge. The production was completed in 18 months. Kemp said the film had a positive impact on residents, who were very eager to get involved with project. “It was very easy to get them involved because having fun is so easy. The impact on the residents was great, we had so much fun and laughter,” he said. The Poynton is one of 25 Metlifecare retirement villages in New Zealand and is located on The Strand in Takapuna.